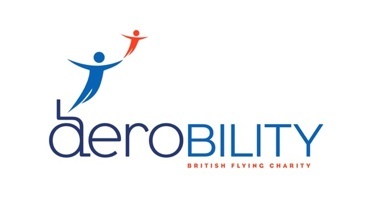 AeroExpo UK is delighted to continue its long-standing support for the Aerobility charity, in recognition of the support and work the organisation accomplishes in bringing the gift of flight to the disabled community. This will be the 6th year that AeroExpo has supported Aerobility. Visit Aerobility: Find out more, get connected and be inspired! Aerobility is a charity offering disabled people, without exception, the opportunity to fly an aeroplane. Aerobility removes barriers and offers disabled people a real sense of achievement and genuinely changes people’s lives. Aerobility’s specially adapted aircraft fly from various airfields around the UK providing life changing trial flights and flight training. Aerobility formerly known as the British Disabled Flying Association aims to support all kinds of disabled aviation and represents the needs of disabled people whatever their aviation aspirations. The charity could not exist without the support of many volunteers and organisations that generously give their time and resources to change the lives of over 400 disabled people every year, with participants ranging from disabled kids through to soldiers recently wounded on active duty. Aerobility will be launching 2 exciting new flying initiatives at the show. Top secret for now, but one involves lots of hot air and the other G-Force and fireworks!